Russia manipulates the past Says Polish Ministry of Foreign Affairs. Russia protests after a statue of Gen. Ivan Chernyakhovsky, a Soviet executioner of the Home Army, [See "Not Only Katyn"] has been taken down in a Polish town of Pieniężno. “We view the persistent omission of this undeniable fact by the Russian side as a chronic case of historical amnesia and a sign of utter cynicism… Hiding the truth about the Second World War (…) is an attempt at grossly manipulating the past,” stated the Polish Ministry of Foreign Affairs (MSZ). The MSZ has officially responded to the statements by the Russian Federation’s Ambassador in Poland and the Ministry of Defense of the Russian Federation, as well as that of a spokesperson of the Russian Ministry of Foreign Affairs. The MSZ’s response begins with the emphasis on the secret protocol that existed between two totalitarian regimes, the Soviet Union and Nazi Germany, pursuant to which the Soviet Union attacked the Polish Republic. The 76th anniversary of this event was commemorated in Poland on September 17. At the same time, the MSZ stated that Russian statements alleging that Polish government suffers from historical amnesia and provides foundations to the revival of Nazism are completely unjustified. The Polish side emphasized that for the last several years the Russian authorities had been informed in detail about the process of removing the statue of Gen. Ivan Chernyakhovsky. The MSZ clearly stated that hiding this truth about World War II from the Polish people who paid an extremely high price to achieve victory over Nazi Germany, and were primary victims of the criminal totalitarian systems, shows not only an utter lack of respect for their heroism, but represent an attempt of utmost manipulation of the past. The MSZ emphasized that neither USSR nor Russia has ever shown any interest in commemorating the 800,000 Red Army soldiers killed by Germany during World War II as prisoners of war between 1941 and 1945 and buried on the territory of today’s Poland. The MSZ expressed its readiness to work with Russian authorities on this matter. “We consider the Russian side’s failure to respond to our long-standing proposals on that matter as yet another proof of our neighbors’ intent to exploit history to serve current political needs,” concluded the MSZ. The Ministry of Foreign Affairs of the Republic of Poland notes with deep regret the statements by the Ambassador of the Russian Federation in Poland and the Ministry of Defense of the Russian Federation concerning the removal of a statute of Gen. Ivan Chernyakhovsky in the town of Pieniężno, and the comments of the spokeswoman for the Russian Ministry of Foreign Affairs. What we consider as particularly unacceptable and utterly groundless are the claims of an alleged short memory of history on the part of the Polish authorities and of building the ground for the revival of Nazism, claims raised on September 17, a date that marks the 76th anniversary of the Soviet invasion of Poland carried out on the basis of a secret protocol between the two totalitarian regimes: the Soviet Union and Nazi Germany. We consider the persistent omission of this undeniable fact by the Russian side as a chronic case of historical amnesia and a sign of utter cynicism. The Russian side has been provided with detailed information on the procedure to remove the statute of Gen. Ivan Chernyakhovsky, which has been progressing over a few years. The current agreement between the Government of the Republic of Poland and the Government of the Russian Federation about the cemeteries and remembrance sites of victims of wars and repressions of 22 February 1994 does not apply to symbolic monuments and statutes. Decisions on such matters come within the purview of local government authorities in Poland. Without questioning the role of Gen. Ivan Chernyakhovsky in the fight against the Third Reich, we must not forget that he was responsible for and instrumental in the liquidation of Polish Resistance, the Home Army. After the Red Army invaded Poland, Gen. Ivan Chernyakhovsky along with NKVD took part in covert operations to arrest local Home Army commandants. Some of them were secretly executed shortly thereafter. 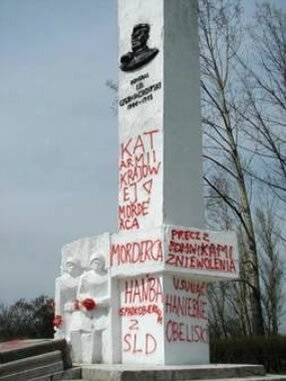 We have no doubt that the Russian side has detailed, documented knowledge of those events, including listings of execution and burial sites of Polish freedom fighters, which—as was the case with the classified Katyn Crime files—the Polish side has not received to this day despite repeated requests, after more than a quarter century since the collapse of communism. Hiding the truth about Second World War from the society that paid a very high price for the victory over Nazism and fell victim to criminal totalitarian regimes is a sign of not only a lack of genuine respect for the heroes but most of all an attempt to grossly manipulate the past. The USSR’s war against Nazi Germany in the territories of other independent states was of a complex nature. This fact was acknowledged by then President of Poland and the prime ministers of Poland and Russia at Westerplatte during the commemoration ceremony for the 70th anniversary of the outbreak of World War II. We recall a message of the Hungarian writer Sandor Marai quoted at that ceremony that “the Russian soldier could bring liberation but could not bring freedom to other nations, as he himself was not free.” The then prime minister of Russia Vladimir Putin agreed with that statement. 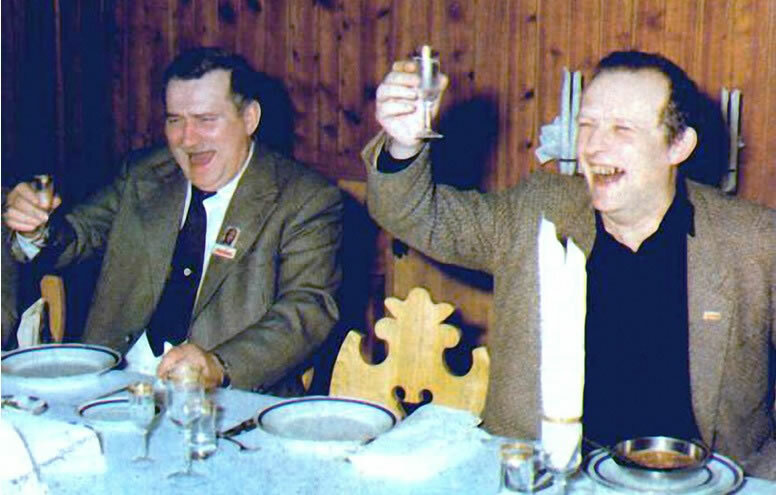 He also noted at a press conference that those who held grudge against Russia forgot that the USSR was the home to those who sentenced people to forced labor camps but also those who were doing time there.” We deplore the fact that modern Russia more and more often takes the side of those former Russians and glorify them, although it was the Russian nation itself that was the greatest victim of Stalinist totalitarianism. In the light of the dispute concerning the statute of Gen. Ivan Chernyakhovsky, we wold like to recall that Poland has always shown due reverence and care for the graves of all fallen soldiers, prisoners of wars, and internees, regardless of their nationality or circumstances under which they came to Poland. Respect for the dead and their graves is at the heart of Polish national tradition. Not a single cemetery of Russian or Soviet soldiers has been liquidated since Poland regained its sovereignty in 1989. In accordance with international conventions and Polish laws, all cemeteries have been set up and maintained at the expense of the Polish State. At the same time we note with regret that neither the Soviet nor Russian side has so far shown any interest in honoring 800,000 Red Army prisoners of war murdered by Nazi Germans during the Second World War between 1941 and 1945 and buried in within the territory of contemporary Poland. The Polish side declares its willingness to jointly carry out such actions, which might lead to achieving a measure of consensus between Poland and Russia over places of commemoration. We consider the Russian side’s failure to respond to our long-standing proposals on that matter as yet another proof of our neighbors exploiting history to serve current political needs.